Fir Italia collections of kitchen sink mixers and taps are in the new "Portraits of Life - Kitchen" communication campaign, dedicated to the renewed 2016 collection of DuPont™ Corian® kitchen sinks. 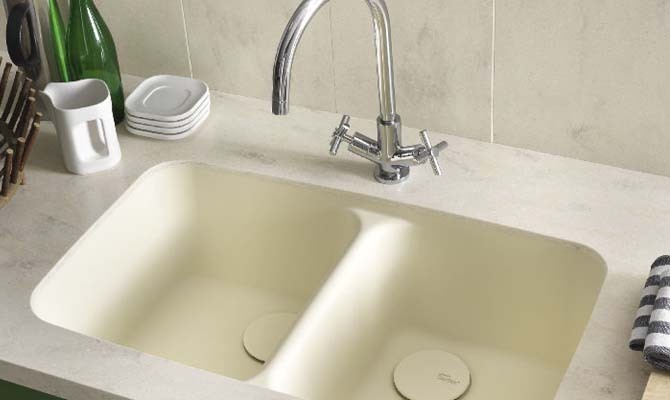 After the collaboration involving the Synergy mixer collections, and following the promotion campaign for the new collection of wash basins in Corian®, the partnership between Fir Italia and DuPont™ Corian® continues in the kitchen. 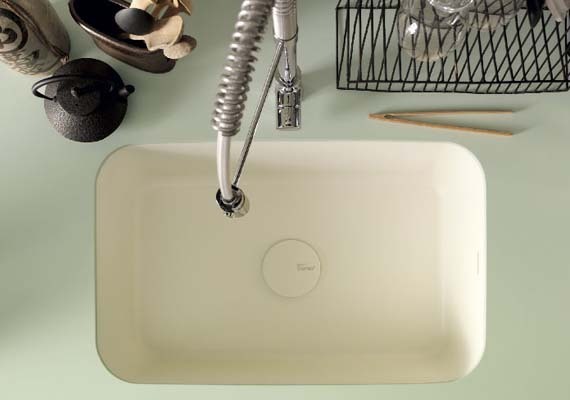 DuPont™ Corian® has chosen the Spring and Cora kitchen sink mixers and taps for their communication campaign “Portraits of life - Kitchen”, dedicated to the renewed 2016 collection of DuPont™ Corian® kitchen sinks. 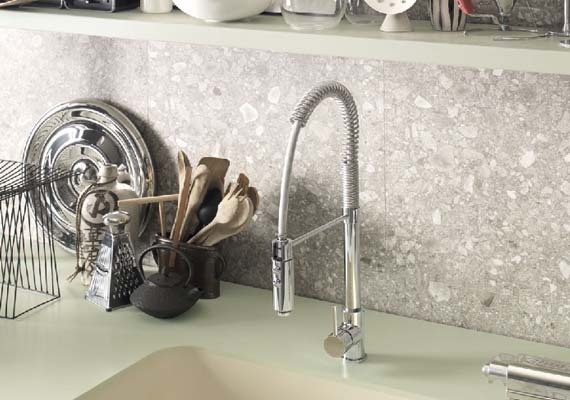 For the "Utilitarian Smart" open kitchen, characterised by stone cladding, the Spring single lever sink mixer with swivel spring spout with oscillatory motion was chosen, complete with a multifunctional hand shower. 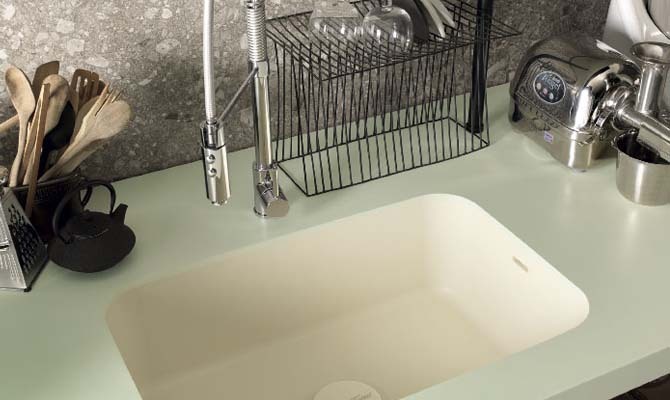 The mixer is fitted on an integrated Corian® Sweet kitchen sink in Bone colour, with a Corian® work top and shelves in Seagrass hues. The "Mid-Century Modern" is a kitchen environment inspired by the 50s and characterised by the clean lines of the furniture and checkered tiles. 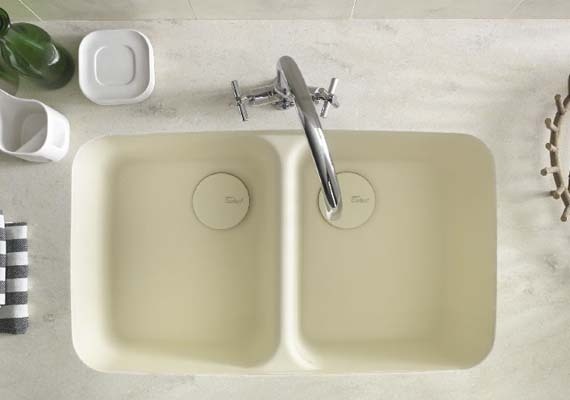 For this context, the Cora two-handle sink mixer with a swivel spout was chosen, combined with the pure forms and sober colours of a Corian® Smooth kitchen sink in Vanilla, which complement a Corian® work top and cladding in Clam Shell colour. 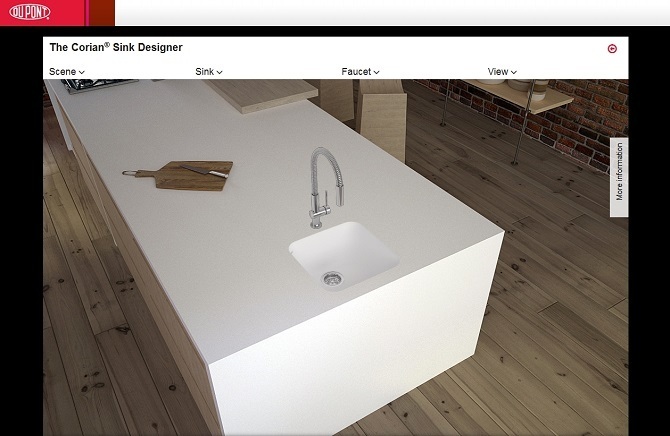 Furthermore, Fir Italia collections of kitchen sink mixers and taps have been inserted into the "The Corian® Sink Designer" product configurator on the website www.portraitsoflife.corian.com, which is dedicated to presenting new DuPont ™ Corian® sinks. 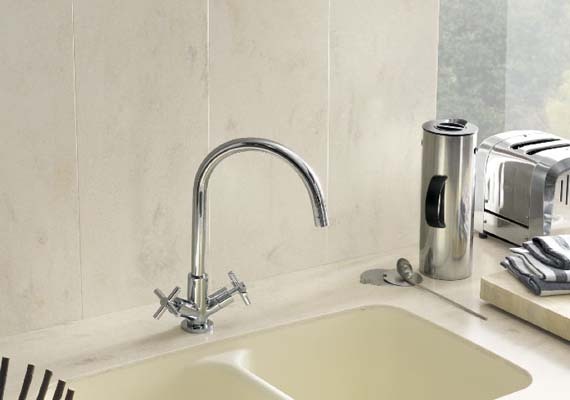 As well as being able to choose from 27 different models of sinks, users can also select one of 12 different kitchen tap models from the Spring, Playone, New Cleo, Melrose and Cora collections, which can be either deck or wall-mounted.